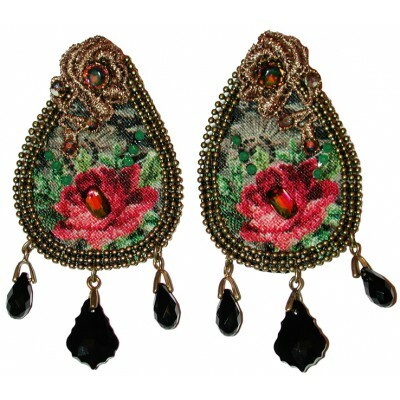 Michal Negrin dangle painted fabric earrings. 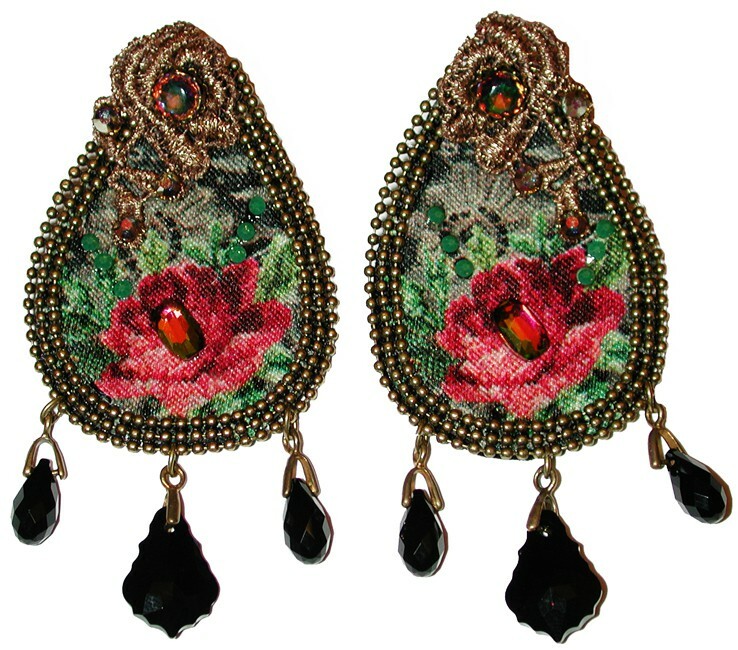 With a Victorian Roses pattern, sparkling Swarovski crystals and black beads. The earrings measure 3 inches long and 1 1/3 inch at their widest.